These are basically neck and cervical pillows that help in the proper alignment of your spinal cord as you sleep. Your body can adjust to the contour of the pillow and is thus relieved of the back pain or neck pain experienced in case of other pillows. It helps in the equal distribution of body weight so that an improved circulation can take place and the pressure points are soothed. 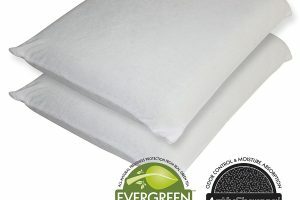 It is thus one of the best memory foam pillows for people suffering from snoring, insomnia or excessive stress. It has a soft terry velour cover that can be easily removed for cleaning purposes. It is hypoallergenic and thus prevents allergic reactions in the body. It is also characterized by a fresh foam odor that needs just a few days to dissipate and is not harmful to you in any way. It comes with the credibility of a reputed brand like Sleep Innovations that has been producing supreme quality products for as many as 20 years. 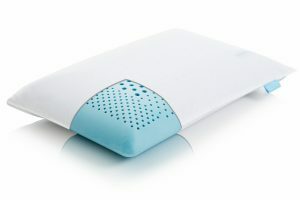 The unique thing about the sleep innovation contour pillow is that it gives your head, neck and shoulders the adequate rest that they require and thus reduces chances of stiffness or pain. It is equally suitable for people with all sleeping styles and sleeping habits. 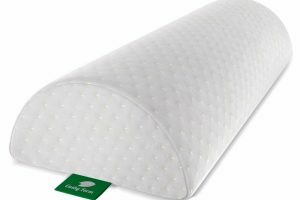 It is manufactured in such a way that the air is able to circulate in a better way throughout the pillow and the heating effect is reduced. It is firm and supportive of different sleeping positions. 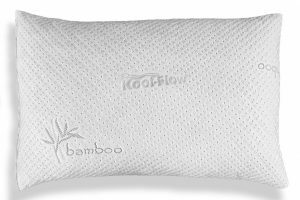 Unlike many other foam pillows, it is great for side-sleepers too. The foam density and thickness are considerably high and the head will not be submerged in it. 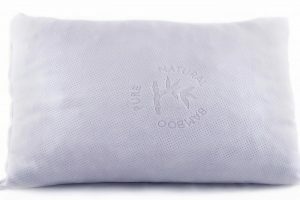 It has not been able to meet the expectations of some of the customers in terms of softness, but most people buying this pillow are looking for a firmer pillow. Most of the customers have been happy to buy this pillow and have given it an average rating of 4 out of 5 with over 73% being a four star or higher. This is the #1 selling contour pillow online. 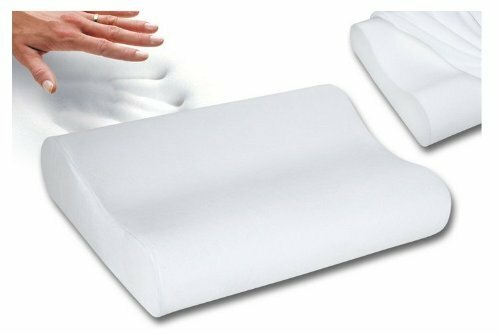 The memory foam contour pillow is great for therapeutic benefits and gives you the utmost comfort and proper alignment of the spinal cord while sleeping. Considering the large number of positives, it has to offer you, we would highly recommend the sleep innovation contour pillow to everyone, especially the back-sleepers. Prices are around $27 for standard size, and $37 for the queen. If you have additional questions, there are a multitude of questions answered through the link.